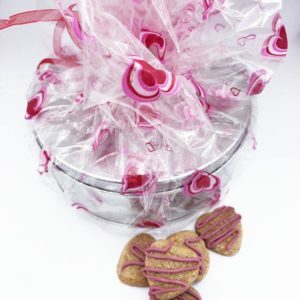 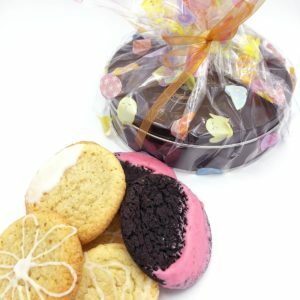 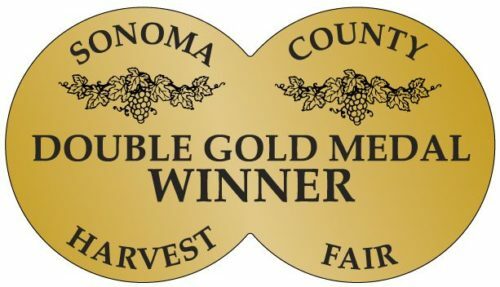 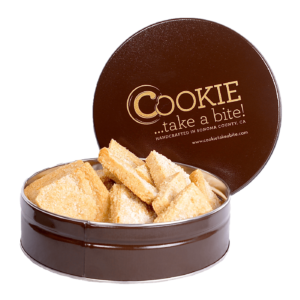 Premium Gluten-Free Tin - Healthy Cookies | COOKIE...take a bite! 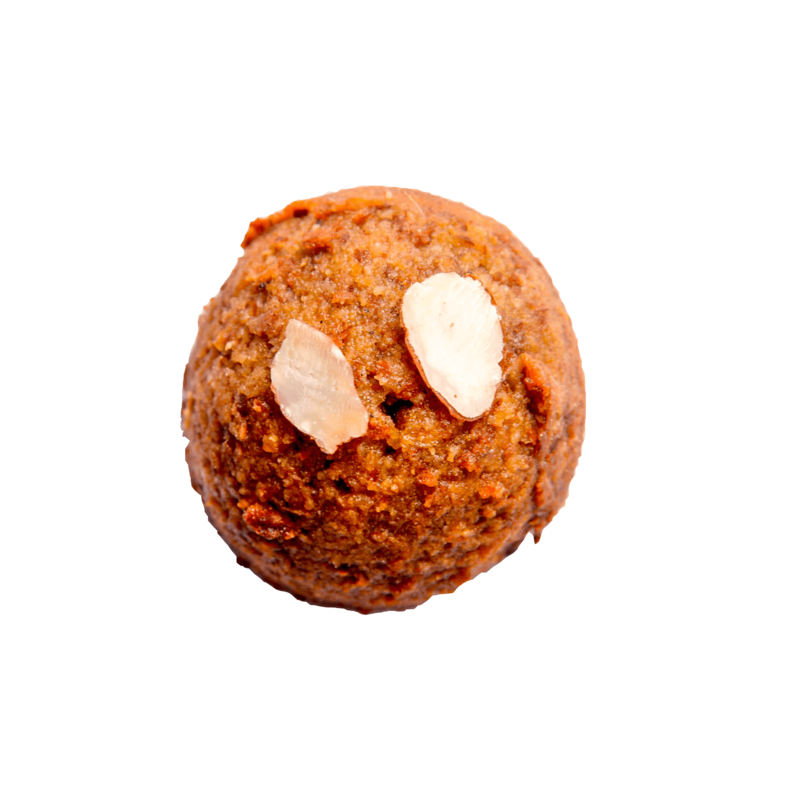 Fresh ginger and oranges mingle with almonds and cardamom to make a delightful treat. 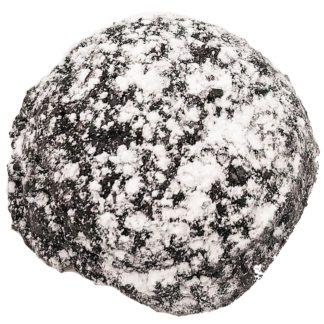 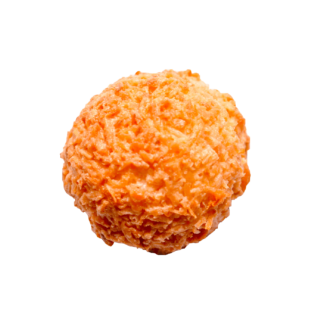 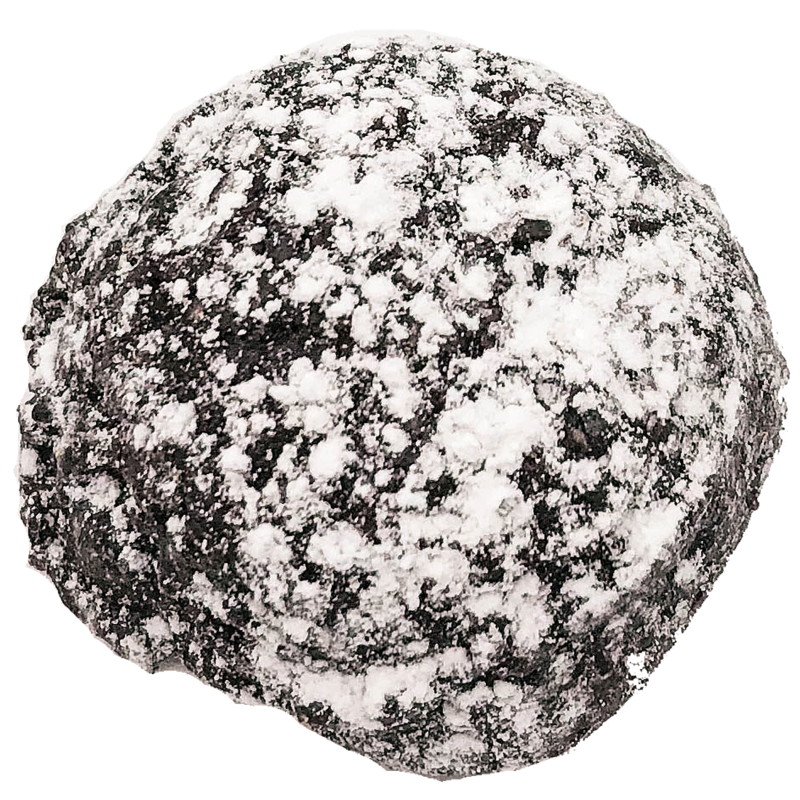 Ingredients: natural almonds, organic maple syrup, cardamom, fresh orange, fresh ginger, salt. A touch of lemon makes this cookie a sweet treat. 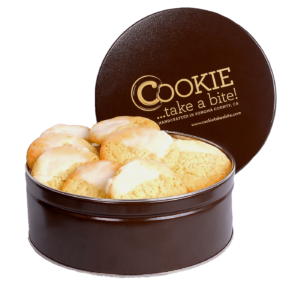 Ingredients: unsweetened coconut, egg whites, cane sugar, fresh lemons, vanilla extract, salt. 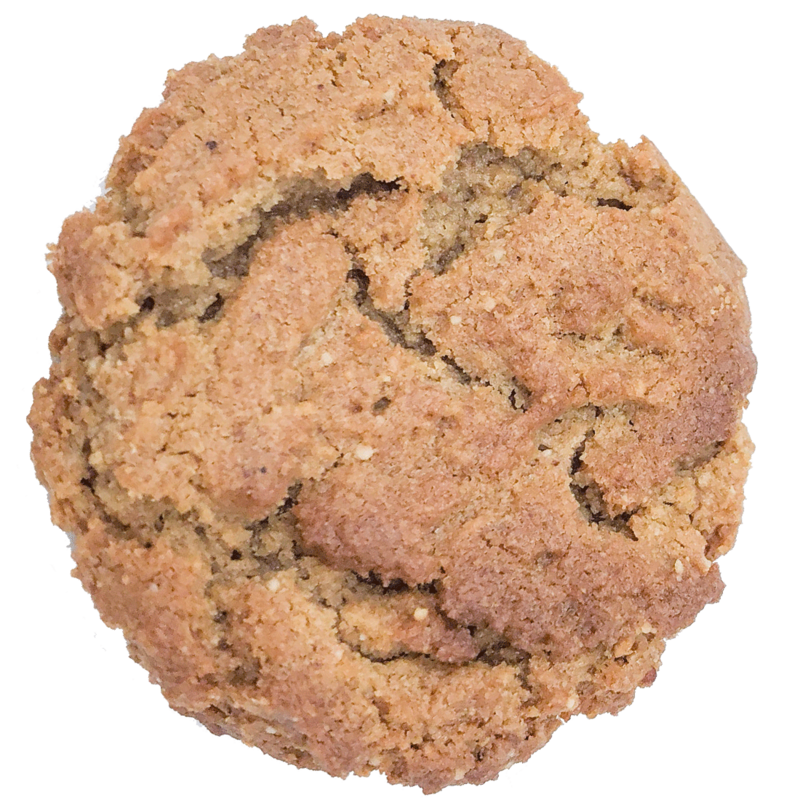 Ingredients: all-natural peanut butter, brown sugar, eggs, baking soda, salt, vanilla extract. 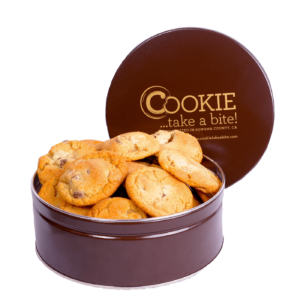 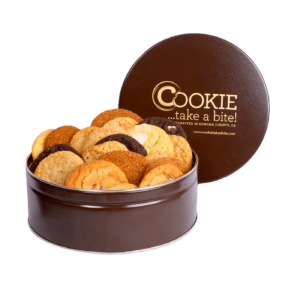 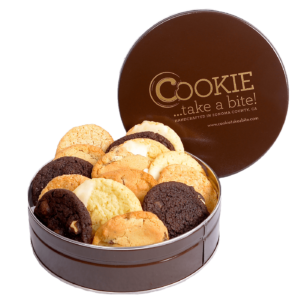 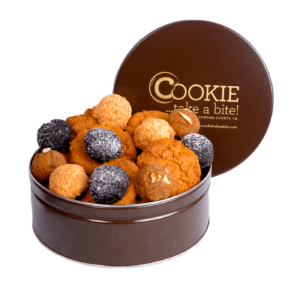 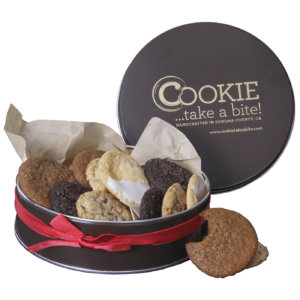 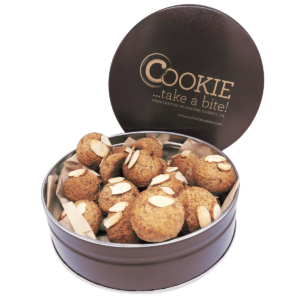 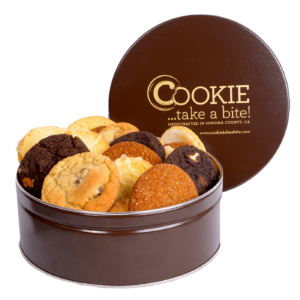 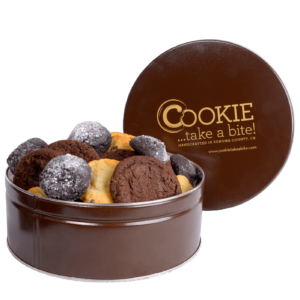 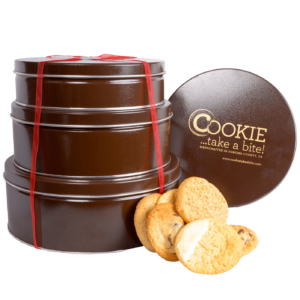 Premium Gluten-Free Cookie Tin – contains 24 cookies.